Taken at the 2002 Eisa Matsuri in Naha. 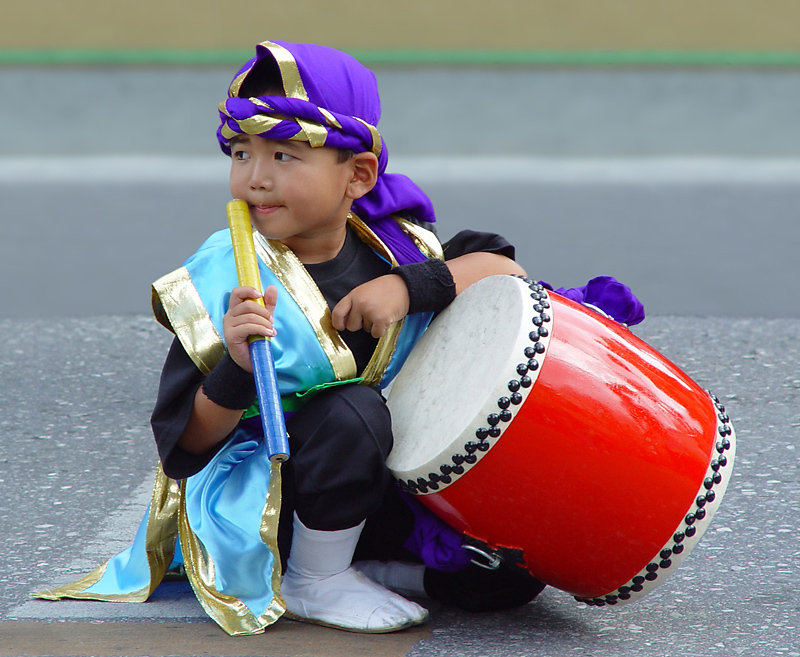 Eisa is a very traditional Okinawan musical tradition in which the participants dance, play drums and sing. Wonderful photo! Beautiful colors, great DOF, and he's got such a cute expression. This shot keeps drawing me back over and over again. It's probably one of nicest images I've seen coming off the F717. Boy, I am sure the parents of this boy would be so thrilled to get a copy of this picture from you. The boy is so cute, and you were able to capture his best (and natural, I might add) pose! I think you definitely have a winner here, Helen! This is an EXCELLENT image, Helen, and I would be very surprised if it doesn't reach the top 3. Bobby.